3 Different Desert Rose Plants - Echeveria - Easy to grow/Hard to Kill! -3"
Desert Roses, Echeverias are arguably the most attractive of all succulents, highly valued for their amazing colors and variation, with the stunning leaf color of many varieties at its most brilliant in the cooler months. Native to the Americas, they are prized by collectors and gardeners alike. They generally flower in the warmer months with colors ranging from white to orange to pink to red. Desert Roses prefer full sun, morning sun or very bright, indirect light. 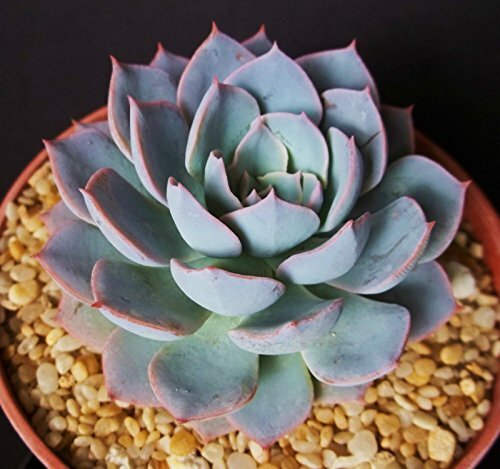 Echeveria 'Violet Queen' is a fast growing and hardy rosette-forming, gray-leafed succulent which freely offsets to form a dense small mound or groundcover up to 5 inches (12.5 cm) tall with each rosette spreading up to 8 inches (20 cm) wide. The leaves are long and narrow and curve up slightly towards the tips to form an open lotus blossom shape. The leaves, especially the tips, take on a rose pink coloration in late fall and winter that is enhanced by cold evenings and even light frosts. ABOUT PACKAGE: Your package will be shipped carefully and meticulously bubblewrapped. When opening your package, some soil may be loose in the box. Plant orders are shipped within 3-5 days depending on availability of the plant. We'll try to ship during the week to avoid weekend delay. If you need your order urgently, please message us so we can upgrade your shipping. The rosette collection was created to satisfy the customer looking for just premium plants all growing in a rosette like form. 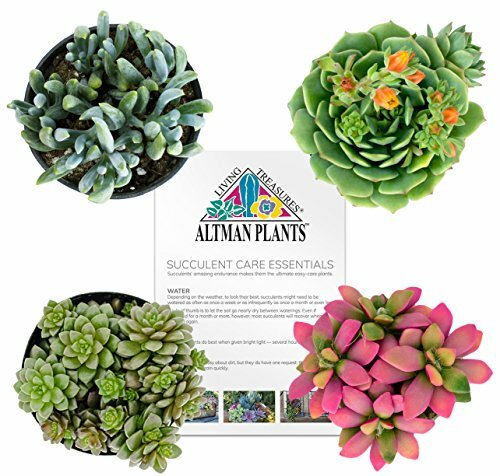 All Shop Succulents packs include a plant reference guide (QR Code) in every package. These are the ultimate wedding favor pack including a nice variety of both Echeveria and Rosette type succulents. This pack includes a beautiful array of color and beauty that are intended to amaze! Each order is meticulously packaged in Shop Succulents retail packaging which makes this pack a perfect gift! This pack will include only premium rosettes. Succulents come fully rooted in their square, 2 inch pots. All orders come with care instructions. Our premium Rosette packs make incredible favors for weddings, baby showers and events that will light up a room. Please be sure to promptly remove the plants completely from their boxes upon arrival. Often times the plants will need a little water, sun, and some loose soil gently brushed from leaves after transit.NOTE: We cannot ship this item to CA, FL, or Hawaii. 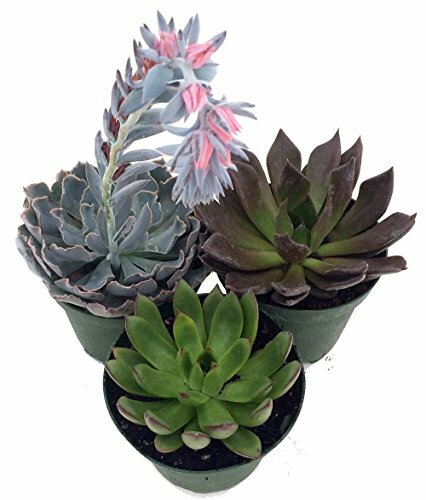 This collection includes stunning 4 Inch rosette succulent assortments that come in a variety of quantities. All Shop Succulents packs include a plant reference guide (QR Code) in every package. These 4 inch succulents are perfect to use in centerpieces, designs, cakes, bouquets, and in the garden! These packs include a stunning array of colors that are intended to amaze. Each order is meticulously packaged in Shop Succulents retail packaging which makes these packs a perfect gift! These rosette assortments offer a wide variety of plants spanning many species. Succulents come fully rooted in their 4 inch round pots. All orders are packed in Shop Succulents retail packaging and come with care instructions. Our 4 inch rosette succulents are full and ready to be used in a variety of ways. Beautiful color schemes that will light up a room. Please be sure to promptly remove the plants completely from their boxes upon arrival. Often times the plants will need a little water, sun, and some lose soil gently brushed from leaves after transit.NOTE: We cannot ship this item to CA, FL, or Hawaii. One plant included.No flowerpot included; no soil included.Shipping will take about 15-20 days.Very easy to care.Strong ability to survive. 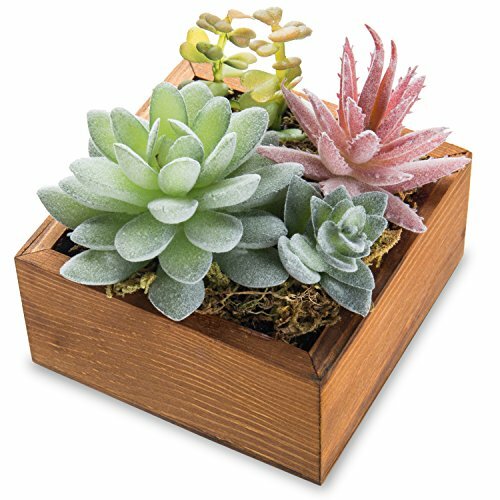 This collection includes stunning 4 Inch succulent assortments that come in a variety of quantities. All Shop Succulents packs include a plant reference guide (QR Code) in every package. These 4 inch succulents are perfect to use in centerpieces, designs, cakes, bouquets, and in the garden! These packs include a stunning array of colors, heights, and textures that are intended to amaze. Each order is meticulously packaged in Shop Succulents retail packaging which makes these packs a perfect gift! These assortments offer a wide variety of plants spanning many species. Succulents come fully rooted in their 4 inch round pots. All orders are packed in Shop Succulents retail packaging and come with care instructions. Our 4 inch succulents are full and ready to be used in a variety of ways. Beautiful color schemes that will light up a room. Please be sure to promptly remove the plants completely from their boxes upon arrival. Often times the plants will need a little water, sun, and some lose soil gently brushed from leaves after transit.NOTE: We cannot ship this item to CA, FL, or Hawaii. Echeveria cultivar subsessillis rare blue color succulent cactus plant 4"
5 Different Desert Rose Succulent Plants - Echeveria - Easy to grow - 2"
Echeveria is a large genus of succulents in the Crassulaceae family, native from Mexico to northwestern South America. The genus is named after the 18th century Mexican botanical artist, Atanasio Echeverría y Godoy.Cacti & Succulent Care: Many people tend to think that cacti and succulents are too difficult to care for and decide against even buying them. As it turns out, many people are simply caring for them too much or too often. Cacti and succulents will do quite well under the same conditions which would be considered neglect with other plants. Watering: The most common problem people have with cacti and succulent plants is overwatering. They are 'water storing' plants and will do better with less water than they will with more. Since every situation is considerably different, there is not set time interval for when to water cacti and succulents. Many factors play a role in the timing (such as humidity, light, and temperature). General Rule: Water Cacti and succulents thouroghly and allow them to dry out completely between watering. If you are not sure if the soil is completely dried out it is useful to stick your finger in the soil (1" or so if necessary) to see if the soil is dry. Many plants will be potted with a sand or grit topping, be sure to check the soil for moisture, not just the topping. If you are still not sure and think it may be too moist, don't water it! Overwatering can lead to disease and rot and will kill your cactus and succulent plants! Light: Cacti and succulent plants love bright sun and will do quite well on a windowsill or on a porch. There are some species however, that will do better in the shade, or partly sunny places. These include some species of haworthias and aloes. If you think your plant is being dried out or damaged from the direct sun, move it to a less bright location. If you have a plant in a location where there is little or no sunlight and notice it is stretching, it is a good idea to move it into a brighter location. -Temperature- Cacti and succulent plants can survive a wide range of temperatures, but it is preferable that they are kept in a warm bright location for the best results, and the most beautiful color. There are some species of cacti that are actually 'winter hardy' and can survive in temperatures well below freezing. If you are not sure that your plant is winter hardy, do not attempt to leave it in the cold! 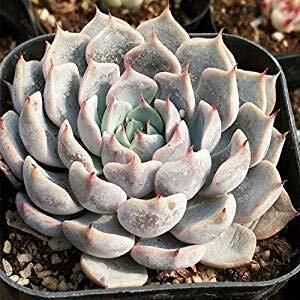 Most species of cacti and succulent plants will do well in a location where the temperature ranges from 40 F to 95 F.
3 Different Desert Rose Succulent Plants - Echeveria - Easy to grow - 2"
Echeveria 'Black Prince' is a highly coveted Echeveria, with its parents known as Echeveria Shaviana and Echeveria Affinis. Black Prince is known for its deep brown and black coloring, and tight fleshy rosette form. This succulent is a slow growing hen and chicks style, clumping rosette. This echeveria can reach around 4-10” in diameter with a glowing green center. Expect gorgeous salmon colored blooms in the fall and winter from this unique succulent. Origin: Hybrid Plant Type: Succulent Size: Up to 10” Propagation: To propagate, clip the offsets, or “pups” and replant the stems in a well draining soil. Growth Habit: Hen and Chicks/Clumping rosette Light: Full sun or bright indirect light. To achieve optimal color, place in full sun. Water: Let your succulent dry completely between watering cycles and always avoid any standing water near the plant. Pot your succulent in cactus and succulent soil mix with excellent drainage. Zone: 9-11 Temperature: This plant does best in warm dry climates. During cold winter months, bring your succulent indoors near a bright sunny window, and keep away from frost. Fertilizer: Fertilize your succulents in the spring and summer months bi weekly with succulent fertilizer. Tips: Susceptibility to mealy bug, use a succulent fertilizer to bolster you plant’s natural defenses! Echeveria ‘Perle Von Nürnberg’is a beautiful succulent that has interestingly colored acuminate leaves that are a pale grayish brown with pink highlights and have a white powdery dusting. The leaves overlap in solitary, up to 6 inches (15 cm) wide rosettes. The flowers are corral pink in color on the exterior with a yellow interior and appear in summer on 1 foot (30 cm) long reddish-stemmed inflorescences.Most of the common Echeveria species are not complicated succulents to grow, provided you follow a few basic rules. First, be careful never to let water sit in the rosette as it can cause rot or fungal diseases that will kill the plant. Additionally, remove dead leaves from the bottom of the plant as it grows. These dead leaves provide a haven for pests, and Echeveria are susceptible to mealy bugs. As with all succulents, careful watering habits and plenty of light will help ensure success. 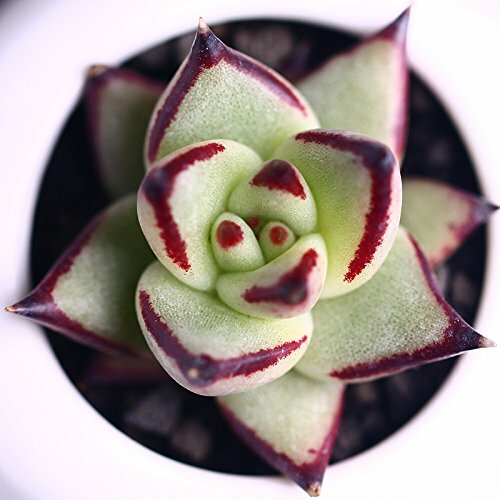 10 Different Desert Rose Succulent Plants - Echeveria - Easy to grow - 2"
Echeveria Agavoides is known for its fleshy green pointed leaves which are edged with red. This succulent has a classic rosette shape making it a beautiful option for use in succulent weddings, design, single planters, succulent terrariums or arrangements, or even in-ground in your garden! All of our succulent plants ship with helpful care instructions to give you the confidence you need to keep your plants healthy and thriving! This plant ships rooted in a 2” grow pot. 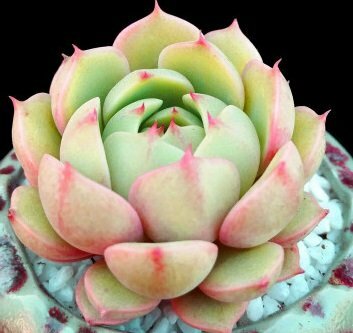 Echeveria 'Domingo' hen and chicks, is a whitish grey rosette shaped succulent with broad fleshy leaves coated in a white powder. This plant grows in a clumping mound replicating itself again and again to form a beautiful grouping of rosettes all next to one another. 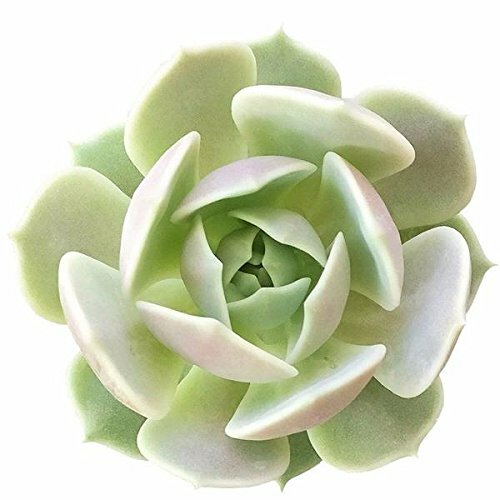 This rosette shaped succulent is a favorite for delicate floral and wedding designs. This echeveria looks beautiful as a focal plant in terrariums and container gardens. This echeveria blooms a bright orange and pink bloom every summer. 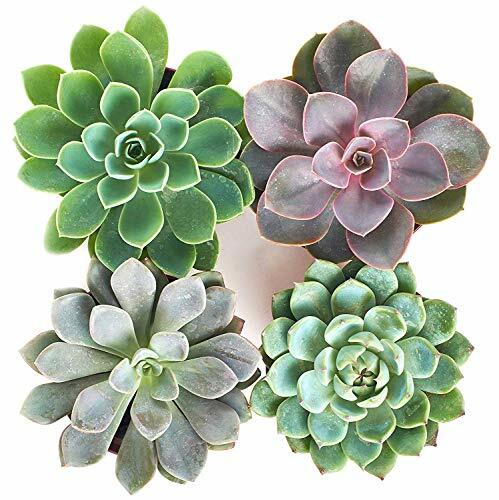 Origin: Native to Mexico Plant Type: Succulent Size: Up to 12” Propagation: This is a fast growing plant, clip the offsets, or “pups” and replant the stems in a well draining soil. 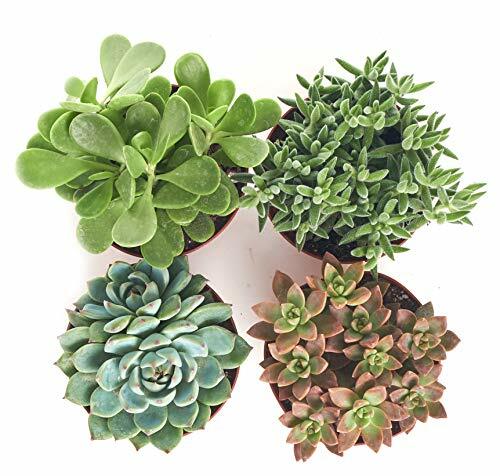 Growth Habit: Clumping rosette Light: Bright indirect light Water: Let your succulent dry completely between watering cycles and always avoid any standing water near the plant. Pot your succulent in cactus and succulent soil mix with excellent drainage. Zone: 9-11 Temperature: This plant does best in warm climates. During cold winter months, bring your succulent indoors near a bright sunny window, and keep away from frost. Fertilizer: Fertilize your succulents in the spring and summer months bi weekly with succulent fertilizer. Tips: Virtually pest free, watch for mealy bugs and aphids. This plant does well in rocky outcroppings and rock gardens which mock its natural habitat. Echeveria 'Topsy Turvy' is a fast-growing rosette shaped succulent, with unique upward turning frill shaped leaves. This low growing flower-like succulent has beautiful blue-grey muted tones, perfect for delicate looking arrangements. Use this plant for indoor or outdoor garden projects. You can anticipate blooms beautiful blooms during late summer or early fall. Origin: Native to Mexico Plant Type: Succulent Size: Up to 1 ft. Propagation: This plant offsets profusely, plant these “pups” by clipping the stems and repotting in well-draining soil. Growth Habit: Low clumping rosette Light: Full sun or partial shade Water: Very drought tolerant. Let your succulent dry completely between watering cycles and always avoid any standing water near the plant. Pot your succulent in cactus and succulent soil mix with excellent drainage. Zone: 9-12 Temperature: This plant does best in warm coastal climates. During cold winter months, bring your succulent indoors near a bright sunny window, and keep away from frost. Fertilizer: Fertilize your succulents in the spring and summer months bi-weekly with succulent fertilizer. Tips: Virtually pest free, watch for mealy bugs and aphids. 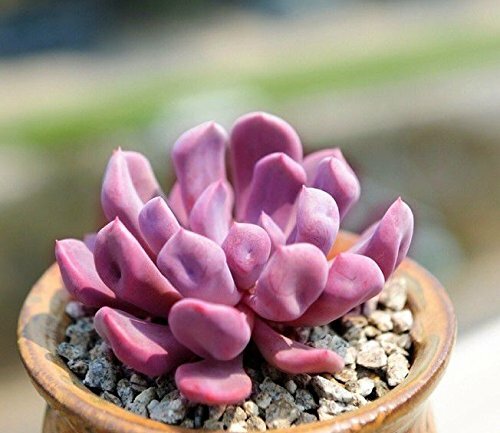 5 Different Desert Rose Succulent Plants - Echeveria - Easy to grow - 3"
The Echeveria Chroma is a beautiful bright succulent that’s maroon in color with pink and green accents along the leaves. This succulent peaks during the winter months. Use this plant as a striking accent in terrariums, wedding arrangements, and planters. Origin: Garden cultivar Plant Type: Succulent Size: 3- 5” Propagation: Propagate this succulent by taking a cutting from the mother plant. Allow the cutting stem to dry and callous over where the plant was clipped for a few days, and then place the cutting into moist soil. Avoid watering and keep out of direct sunlight until the plant has rooted (about 2-3 weeks). Echeveria Haagai 'Tolimanensis' is a dark bluish purple succulent with an upward growing stalk. This succulent grows in a shrub form creating a beautiful mass of deep color. This succulent plant looks great in succulent terrariums and container gardens. Plant this succulent indoors or outdoors and watch it thrive! This succulent blooms a beautiful orange bloom. 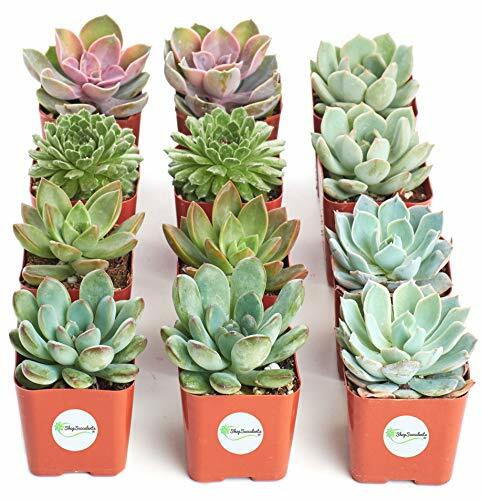 Origin: Native to Mexico Plant Type: Succulent Size: Up to 12” height Propagation: Clip the offset stems, and replant the stems in a well draining soil. Growth Habit: Shrublike Light: Bright indirect light Water: Very drought tolerant. Let your succulent dry completely between watering cycles and always avoid any standing water near the plant. Pot your succulent in cactus and succulent soil mix with excellent drainage. Zone: 9-11 Temperature: This plant does best in warm climates. During cold winter months, bring your succulent indoors near a bright sunny window, and keep away from frost. Fertilizer: Fertilize your succulents in the spring and summer months bi weekly with succulent fertilizer. Tips: This plant does well in rocky outcroppings and rock gardens which mock its natural habitat. 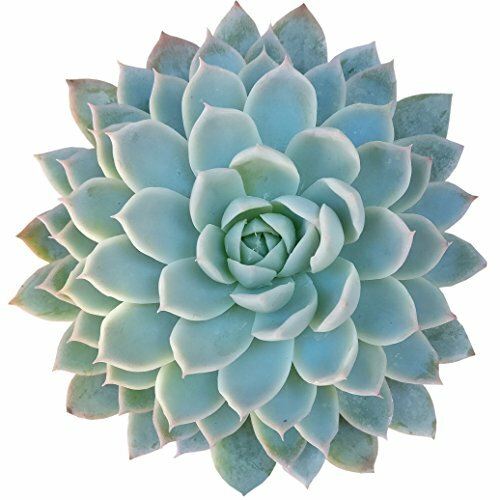 Topsy Turvy Succulent Plant - Echeveria runyonii - Easy to grow - 4.5"
Echeveria Pulidonis is known for its greenish blue thinly shaped leaves which are edged in a mild red. This succulent has a classic rosette shape making it a beautiful option for use in succulent weddings, design, single planters, succulent terrariums or arrangements, or even in-ground in your garden! All of our succulent plants ship with helpful care instructions to give you the confidence you need to keep your plants healthy and thriving! This plant ships rooted in a 2” grow pot. This is an evergreen succulent that forms a large rosette. The leaves are olive green to lavender rose in shades and are slight pointed, rounded, and fleshy. The surface is adorned with pink edges. When exposed to the sun for too long, you will see that the plant will develop a deeper color. Its peak growth is during summer time. Origin: Garden cultivar Plant Type: Succulent Size: 12” Propagation: Most types of succulents under this species are not really complicated to take care of. Just make sure to take note of the basic rules in taking care of succulents. Get rid of the dead leaves as the plant begins to grow. Leaving the dead leaves as they are will just eventually attract insects and other pests. The summer season is the best time to repot this plant. Growth Habit: Rosette Light: Partial to full sunlight. Water: Make sure not to let excessive amounts of water stay in the pot as this can cause fungal diseases or rotting to take place and eventually kill the plant. Just water the plant sparingly around once a week. Decrease watering frequency as the winter season approaches. Zone: 9 to 11 Temperature: This plant greatly appreciates warm temperatures most of the time. Fertilizer: Fertilize this succulent using an organic liquid variety during the growth season. Do this during the start of spring time until the summer season. This will help boost the defense system of the plant. Tips: Help avoid pest infestations by clearing away dead leaves at the base of the succulent. My Echeveria plants,care and cultivation. Looking for more Echeveria Plant similar ideas? Try to explore these searches: Johnson Autographed Nfl Football, Chloe Pull, and 10 Non Stick Fry Pan. 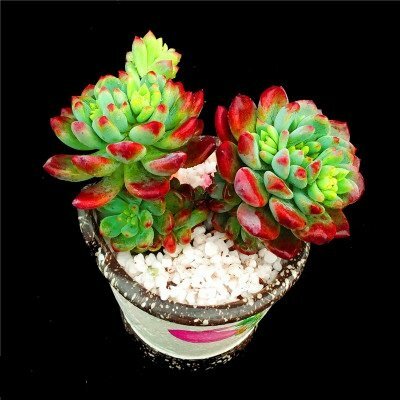 BlesDeal.com is the smartest way for online shopping: compare prices of leading online stores for best Echeveria Plant gift ideas, Echeveria Plant deals, and popular accessories. Don't miss TOP deals updated daily.